Every cryptocurrency user is seeking a private and safe option for making transactions online. SWAT has introduced a coin that meets the following requirements and has introduced it on p2pb2b platform. SWAT is a cryptocurrency created for small investors and aims to be an affordable, low cost, profitable on long terms asset. SWT coin provides holders with a possibility to make untraceable, private, and anonymous transactions. The network also excludes the problems of double spending and hacking that are quite common for many cryptocurrencies. 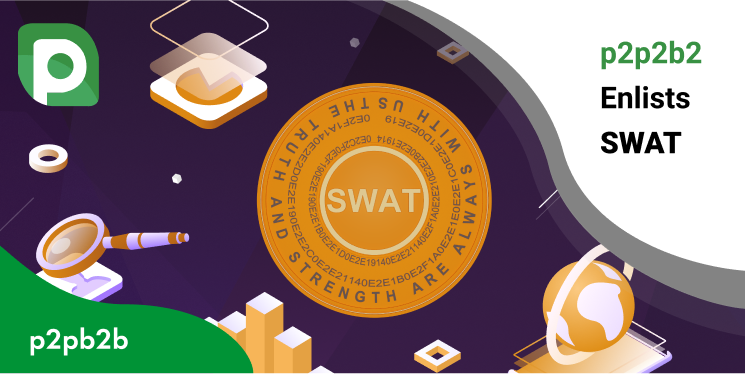 At the same time, SWAT implements regular business model alongside with the cryptocurrency one as a manufacturing unit that markets Pocket Miner for mining coins. Subscribe to p2pb2b social network to get the latest news!